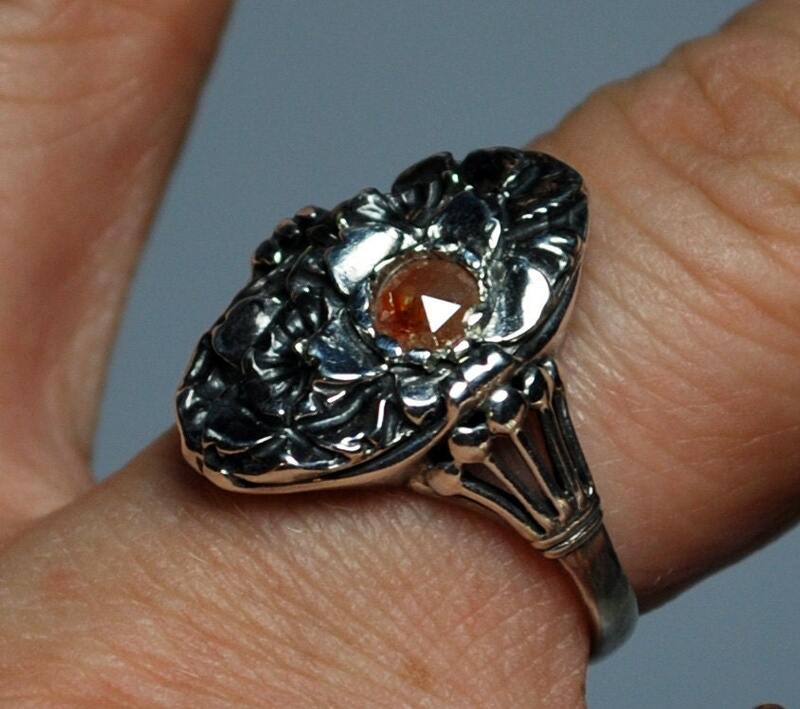 A beautiful combination of shimmering sterling silver and a 4mm natural conflict free rose cut diamond. 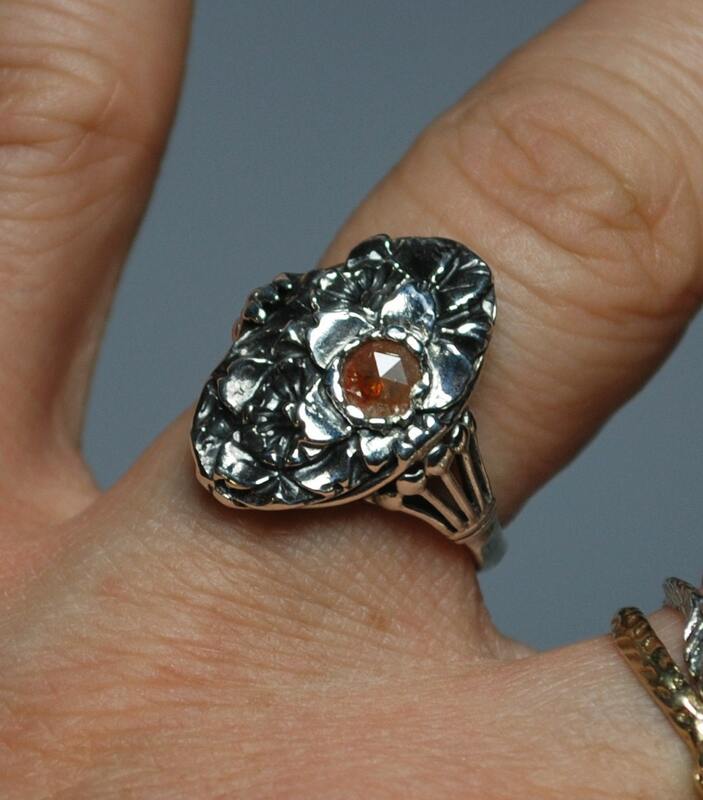 This ring is a reproduction of a ring that was my great Aunt Helen Moore's. 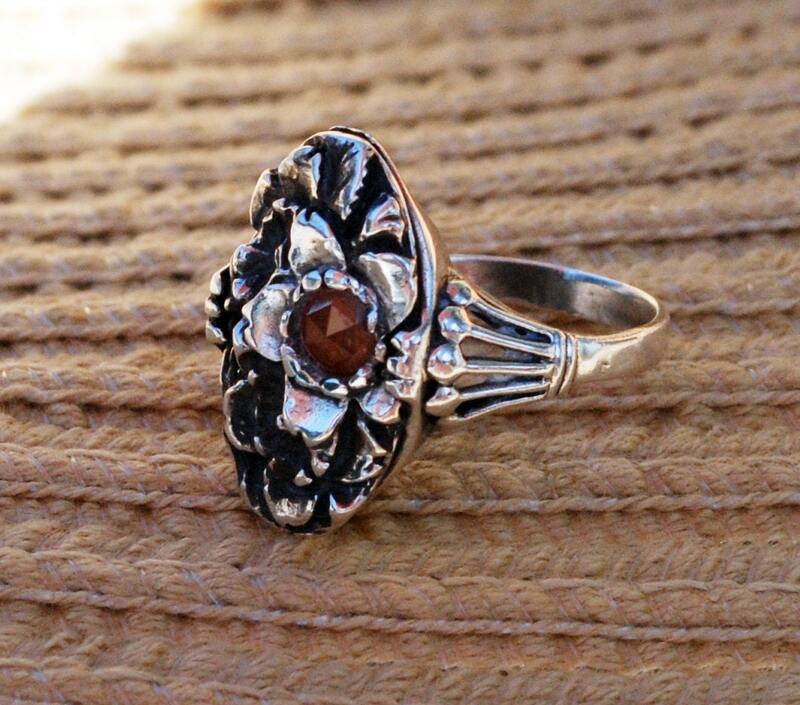 The original ring (which I still wear and love) is sterling silver set with a carved piece of pink coral. 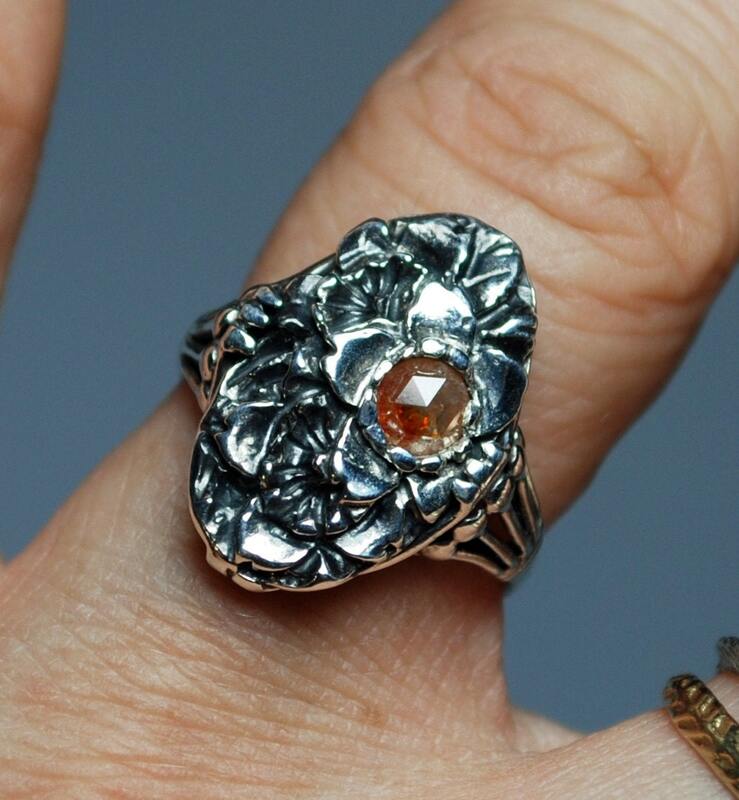 I have molded and cast both the setting and the carved coral in silver and then set the diamond in the center of one of the carved flowers. Aunt Helen spent many holidays with us when I was a child and I was able to enjoy her visits until her death when I was 12. She had wonderful stories, taught me embroidery and doll making and inspired and nurtured the creativity which ended up guiding the rest of my life. She also gave my mother and me exquisite pieces of jewelry, many of which she had acquired in Japan and during her extensive travels throughout Asia. All of these pieces and their beauty have inspired me over the years and I have now begun to incorporate elements from some of them into my own creations. 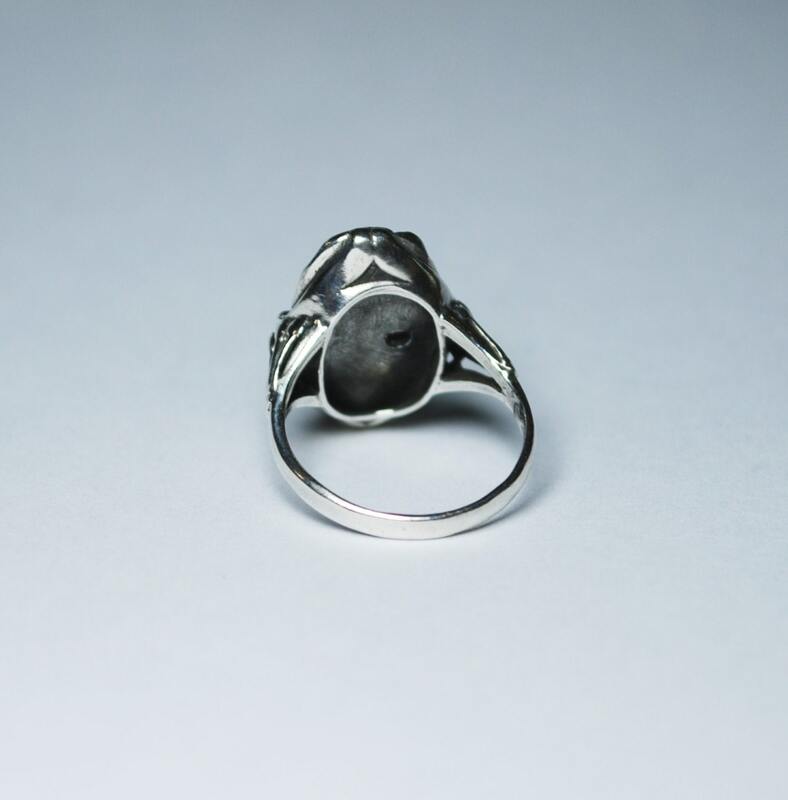 This ring is US size 5.